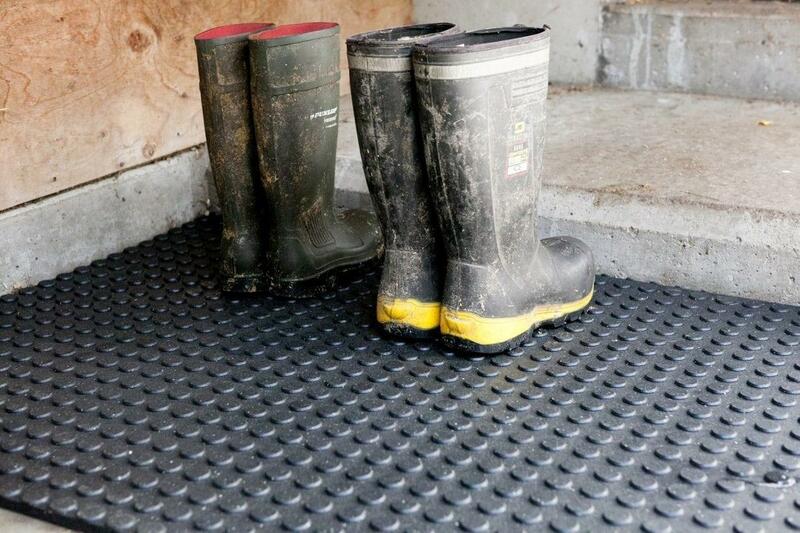 Traction, Durability and Multifunction use – the LongHorn Button Top Mats is North Americas #1 seller for agricultural rubber matting. 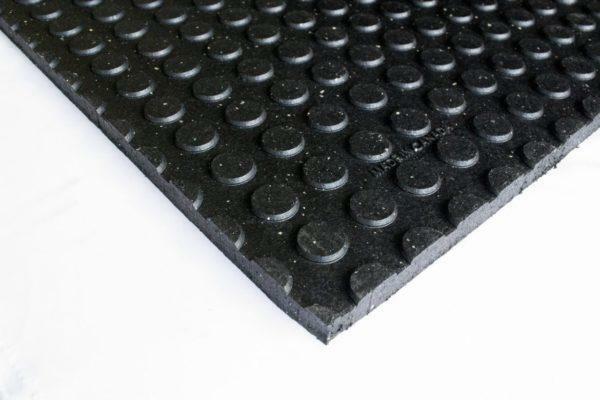 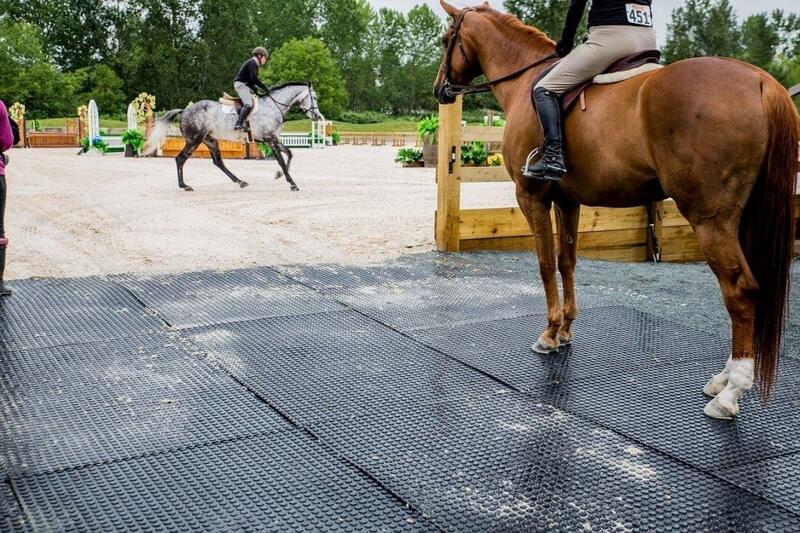 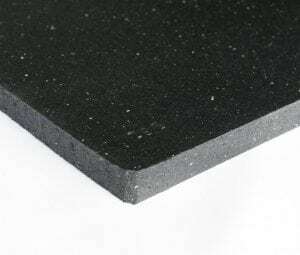 The rubber mat features a dual surface with our traditional flat – nonabsorbent top that offers superior traction and an easy to clean surface. 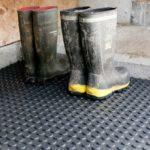 The bottom features a large button bottom designed for ultimate traction, true multi-directional drainage and cushion and comfort. 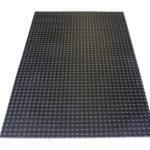 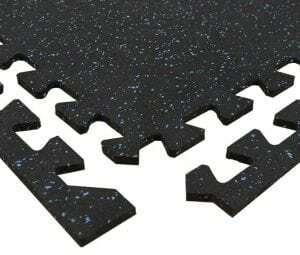 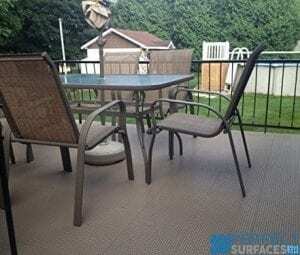 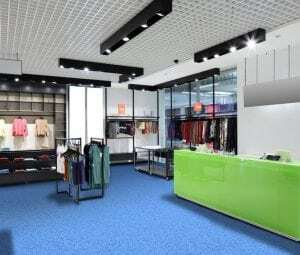 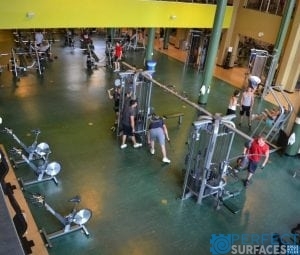 The dual surface increases the rubber mats range of multifunctional app applications it can be used for. 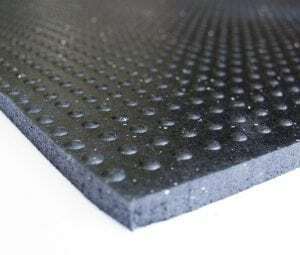 Buttons up or buttons down, choose the surfaces that best fits the application. 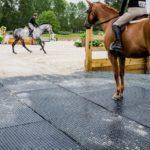 Rubber Wash Bay/ Tack Rooms – Slip resistance in wet environments is critical for the safety of you and your horse. 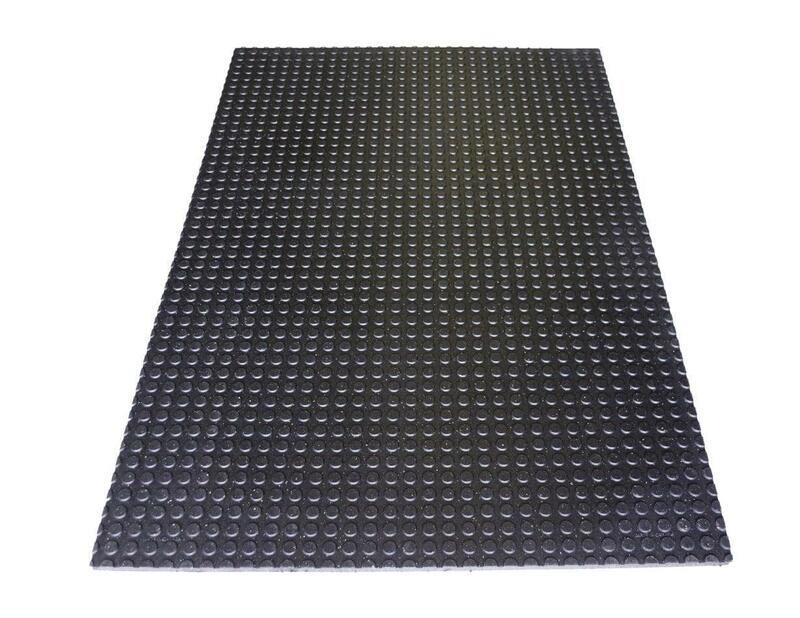 Not only do LongHorn mats provide the best slip-resistance in the industry, they are also non-absorbent (which some rubber mats are not).